Mallorca is an island of beautiful views, but there are plenty of people who would argue that this town has some of the island’s most spectacular. Its villas dot the surrounding hills in a picturesque way and the stout houses of the town are intersperesd with cafes, bars, galleries, bakeries and gift shops. But because it’s so pretty it does get busy, and these cafes and bars inflate their prices to suit. However there are still plenty of pockets of peace in this lovely village and this is where you’ll find many of our Guru’s recommendations for the best places to stay in Vallemossa. The village's main sight is the 13th Century Carthusian monastery, La Cartuja. It was originally built as a royal residence, before becoming a monastery. You can still visit some of the cells, including one that’s an old apothecary. But its spires are now better known for the impact they've had on artists, writers, and, most famously the composer Fredric Chopin and writer Georges Sand who spent the winter of 1838-9 here, staying in the monastery. The best places to stay in Vallemossa vary from good value renovated fincas to that luxurious monastery conversion. You'll have to be organised if you want to book a room in one of them during July and August. But if you visit during quieter periods, you'll get all the benefits of the Valledemossa without the crowds. 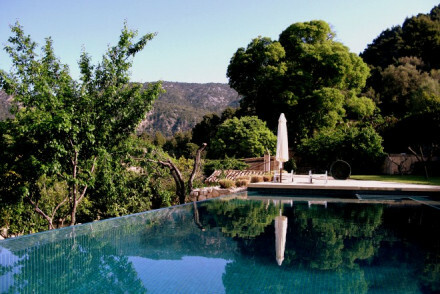 The Valldemossa is a converted former monastery now a romantic 12 room hotel. Set amongst rolling hills, the Valldemossa has sprawling terraces to make the most of the spectacular views. There's also a great restaurant and a large swimming pool. The Mirabo de Valldemossa is a small hotel converted from an old stone farmhouse. The eight rooms are contemporary in style but have plenty of original features and there are stunning views over the hotel gardens and the Sierra de Tramuntana. 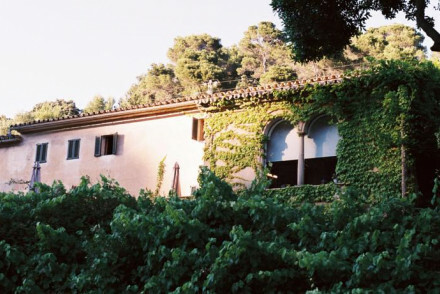 Casas de Ca's Garriguer is a charming, ten room finca just outside Valldemossa, on the coast side. Rooms are romantic, with private balconies, plus there's a traditional restaurant and a large pool and deck. Son Viscos is a five room B&B with plenty of space and charm. The furniture is antique, and the house has white-washed walls and exposed beams. The views are incredible and there are great walking and cycling routes nearby. This is a great spot to really relax. Children over 12 only. If you’d prefer to stay in a self catering apartment or private villa we recommend you visit our online partner, booking.com. Palma airport is around 25miles from Valldemossa. Cruise ships arrive at Port de Palma, which is just west of Palma, and you’re about eight hours from mainland Spain via ferry, and four hours from Ibiza. If you want to hire a car - which we highly recommend if you’re staying in Valldemossa - we suggest you visit our online partner, Rentalcars. It’s possible to arrive via public transport, but not easy, and you’ll have limited access to the highlights of Mallorca if you plan a car-less visit. Mallorca’s climate is typically Mediterranean, with hot, dry summers and mild winters. Its central mountains mean there’s some variation across the island - mostly dependant on how much wind you’re getting - but generally speaking it's sunshine and 19°C+ between April and November, and the ‘beach holiday season’ runs between May and October. Autumn is probably best avoided because this is when the island gets most of its rain, and it can be very heavy, though Winter is great for a walking holiday or a bit of winter sunshine. The best time to go is probably late spring, but purely because it’s a bit quieter and the almond blossom is out. 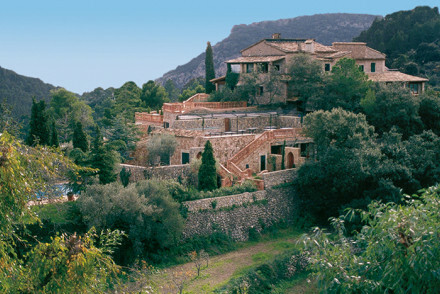 Still not sure which is the best place to stay in Valldemossa for you? read our Best Beach Hotels on Mallorca article? 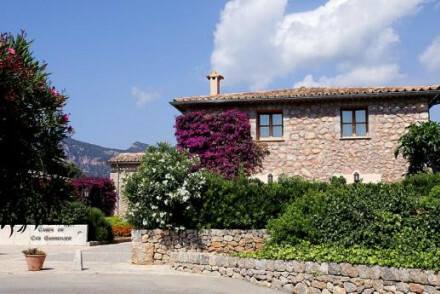 A gorgeous finca just outside Valldemossa and not far from beautiful bays and beaches. Boutique chic rooms have private balconies, romantic furnishings, and all the mod cons. Lovely pool and sun terrace, traditional restaurant, and plenty to do. Perfect for a beach holiday. Views - Stunning valley views. Sights nearby - Valledemosa nearby has many historical attractions. Set in a luscious secluded garden, this romantic bed and breakfast has spacious bedrooms with antique furniture, white washed walls and exposed wooden beams. Great hiking routes and bicycle paths in the surrounding areas. A charming retreat, with many scenic spots to enjoy breakfast. Discreet, privately-owned hideaway in the hills perfect for couples wanting peace and relaxation in a beautiful location. Chic rooms seamlessly combine original elements and contemporary furnishings. Lovely gardens & pool area. Delicious Mallorcan cuisine. Romantic and totally relaxing. Restrictions on children - Not really suitable for children.